SWF is a reliable, affordable building services business offering quality rendering and re-pointing across Shropshire, Cheshire and North Wales. Our main office is based in Manchester and we have bases in Whitchurch, Chester & Warrington and we take care of any roofing job across the region. Re-pointing is a service we provide. Having been conducting work like this for over 15 years we are experts in the field of renovation and home improvement. Over time the cement and mortar between the bricks of your home or building can crack, crumble or just simply wear away. When this happens, the chances of water getting between the cracks and gaps increases. This can mean a variety of issues and problems for you and your home. 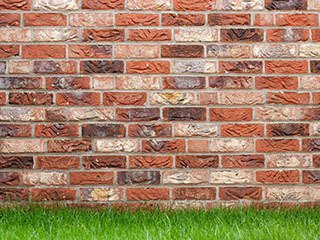 Our skilled tradesmen are able to conduct brick pointing on your building in order to restore it to its former glory! Whether it’s your home, an extension, an outbuilding or the like, we are able to complete the work with minimal of fuss to an exceptionally high standard. Re-pointing is the most cost effective way to repair the brickwork on your buildings and to make them water tight. Our high level of customer satisfaction is what we are proud of, and our brick pointing services always impress our customers. Rendering is the process of applying mortar to the exterior walls of a property. The advantage to rendering your property is that it allows you to select from many different styles and finishes that cannot be achieved otherwise. This can be done without any structural work being done to the property which makes it a very cost-effective way of beautifying your home. Many people now see rendering as not just a way of improving the look and sturdiness of their home but also as a way to increase its value. Having a render applied to a property can add thousands to its value which makes it a very worthwhile investment. Cement rendering can be applied to exterior walls made of cement, brick or stone. It is a mix of lime, sand and cement and is extremely versatile, being able to be applied rough or smooth depending on the mix. 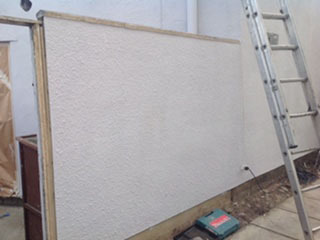 After the render has been applied it can then be textured or painted to the property owner’s tastes. Cement rendering has been used for centuries and is an excellent way to improve the appearance and sturdiness of a property as well as being a great weather proofing measure for exterior walls. We are able to offer many types of rendering to suit any project.